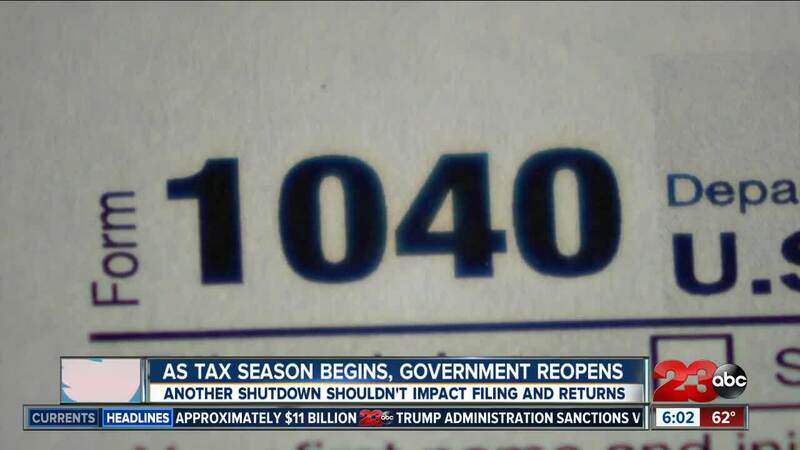 BAKERSFIELD, Calif. — Bakersfield CPA Joel Sandoval said the government shutdown should not have any impact on your taxes, as long as you take care of your paperwork quickly. Sandoval said if there is another government shutdown, the IRS will close again. President Trump has said he might shut the government down again starting February 15 if an agreement on a border wall funding is not reached. If the IRS closes, there will be no one available to help with paperwork. Sandoval advises everyone to make sure they have every form ready before that date to avoid potential issues. He said if you get all of your paperwork together, you should be able to file your taxes and get your return.